If you’ve ever wondered just how hard it would be to maneuver in space, this video will give you a pretty good idea: it’s hilariously difficult. We won’t pretend that this video has any kind of educational value at all. It’s just good old-fashioned funny footage of astronauts tipping over on the moon and finding it really, really hard to get back up. We will give you one little educational tidbit: the Moon’s gravitational pull is 16.7% as strong as Earth’s. That means that a 175 pound astronaut (not counting equipment) would feel like he weighs just over 29 pounds on the moon. 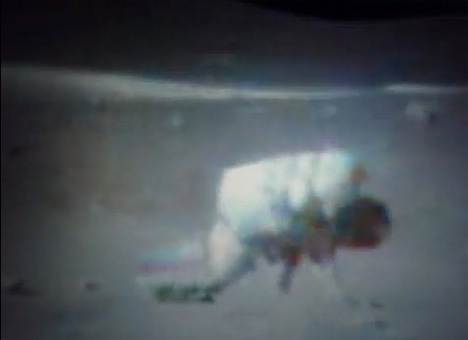 No wonder the spacemen in the video are flailing around like newborn fawns.